Gary & Nikki's Standard of Excellence is the guideline to their customer service and the criteria for their team. Each member of the team specializes in what they do best, strives to ensure that their clients' goals are achieved and that every every transaction is “hassle free”. Gary & Nikki founded their team in 1986. They and the Gary and Nikki Team have successfully helped over 5,000 families buy or sell homes in the Tampa Bay area. For over 30 years their proven systems continue to get results and provide a competitive advantage for their clients. Their individual team production surpasses the production of many entire real estate offices. Both Gary & Nikki are Certified Residential Specialists (CRS), a designation held by less than 6% of all REALTORS® nationwide. Gary is a Certified Luxury Home Marketing Specialist (CLHMS) and a Certified Relocation Professional (CRP). Both Gary & Nikki are licensed Brokers in the State of Florida and have recently become Certified Distressed Property Experts (CDPE) to save homeowners from foreclosure and assist with short sale situations. Send Gary & Nikki a message. 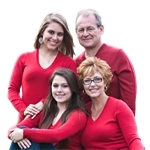 Mimi's career in real estate began in 1998 with The Gary & Nikki Team. After nearly a decade with The Team, Mimi served as General Manager of Star Title Partners for another 10 years. She has been a coach and trainer for Keller Williams Realty, as well as coached and trained other real estate agents and teams across the country. She is excited to once again take on the role of Team Leader, using her extensive experience in real estate and management to lead The Team in helping clients achieve their real estate goals. When not at the office, Mimi loves to cook and spend time with her family. Don was born and raised in Scranton, PA and currently lives in Palm Harbor with his wife Marlene. He founded and ran his own company in PA for over 30 years before moving to Florida and joining the Gary & Nikki Team. Don has learned the importance of helping others achieve their goals and providing excellent customer service. He strives to make every clients experience a great one! He looks forward to helping you achieve your real estate goals. For fun Don enjoys sports, music and family time. Don has four children and eight grandchildren. Frank is a REALTOR® who specializes in marketing properties and servicing people with a personal touch. Utilizing his twenty five years of experience in people management. He understands peoples goals and needs allowing him to create and implement plans to exceed client's expectations. Before becoming a Listing Partner for The Gary & Nikki Team, Frank worked in the transportation industry managing employees, customer accounts and operations on all levels. Frank was born and raised in North East Pennsylvania. He has a degree in Business Administration from Mansfield University of Pennsylvania where he was a member of the Wrestling and Football team. Prior to settling in Florida he lived in Southern New Jersey where he raised his family. Frank has two sons, a step son and a grand daughter all living in different parts of the country. He believes his extensive exposure to people and experience affords him the ability to assess their needs and goals and find the strategies to meet and exceed them. Will was born and raised on Long Island NY before attending college in Florida. After obtaining a Bachelors degree in Human Performance & Exercise Science (FGCU’11), then having success in the fitness industry, Will knows how to build working relationships with his clients to get them the results they want. He has utilized this approach to provide professional service to his clients and to help them achieve their real estate goals. Outside of work, Will enjoys spending time with his family and their two rescue dogs, working out and following New York City professional sports. Matthew is a REALTOR® who specializes in and building strong relationships with his clients to help them achieve their goals, and exceed their expectations as well as marketing properties. With a Bachelors degree in Marketing, as well as years of experience in management, he has successfully created great relationships with clients, led a strong teams of employees, and marketed businesses in a variety of ways. Outside of work Matthew enjoys spending time with his family, listening to music, watching movies, and saltwater fishing. Matthew believes firmly in loyalty, transparency, and seeks to do whatever it takes to make his clients succeed. Paul was born and raised in Huntington (Long Island) New York. Paul relocated to the Tampa Bay area in 1982. He worked in the transportation industry as well as banking for many years before getting his real estate license in 2002. Paul sold real estate for several years in the Tampa Bay area before going into real estate management. The love of customer service and the strong level of real estate knowledge makes Paul the perfect closing manager. When Paul is not putting all the pieces together making your closing seamless, he is spending time with his wife and son on one of the great beaches in the area or volunteering with the Boy Scouts of America and his Church. Dave is a licensed Listing Manager and joined the team in 2017. He was born just outside Richmond Virginia and has lived in Florida over 20 years while enjoying an active outdoor lifestyle. Dave has a Bachelors degree in Graphic Design and an AS in Digital Photography. Photography is Dave's creative outlet that also has to compete for his spare time with his love of finding and refinishing antique furniture. Dave has volunteered his time to various non profits in the Bay area that contribute to causes such as children with cancer and also provided volunteer career counseling to executive level adults in career transition. Additionally Dave has volunteered at two of the areas internationally recognized events, The St Pete Grand Prix and The Blue Ocean Film Festival.